It’ll come as no surprise to anyone that Forza Horizon 4 is a gorgeous videogame. Playground Games has stuck true to the series’ reputation in creating not only a precise racer, but one that looks every bit as detailed and glossy as the exotic vehicles it focuses on. Of course, this brings into question PC performance. Does Forza Horizon 4 require the GPU equivalent of a 1,479bhp, quad-turbo W16 engine? Or will a Fiat 500-spec rig suffice? That’s what we aim to find out in our PC performance review. A suite of over 20 options awaits you in the advanced graphics menu, starting with basics such as anisotropic filtering and texture quality, and extending to minute details like windshield reflections, general reflections, and the geometry quality of both static and dynamic objects. This impressive collection allows you to tweak exactly what you need out of Forza. For example, you can lower the quality of mirror reflections to open up more bandwidth should you be the kind of driver who’s entirely forward-facing. There are five presets available: ultra, high, medium, low, and lowest. These require a hard reboot of the entire game to be applied if you’re switching between them, so initial setup can be obtrusive. Thankfully, the built-in benchmarking tool takes a lot of the pain out of evaluating your PC’s performance, providing detailed data for CPU simulation, CPU render, and GPU frames-per-second rates. For our graphics analysis we compare similar screenshots taken on the four standard presets of ultra, high, mid, and low. 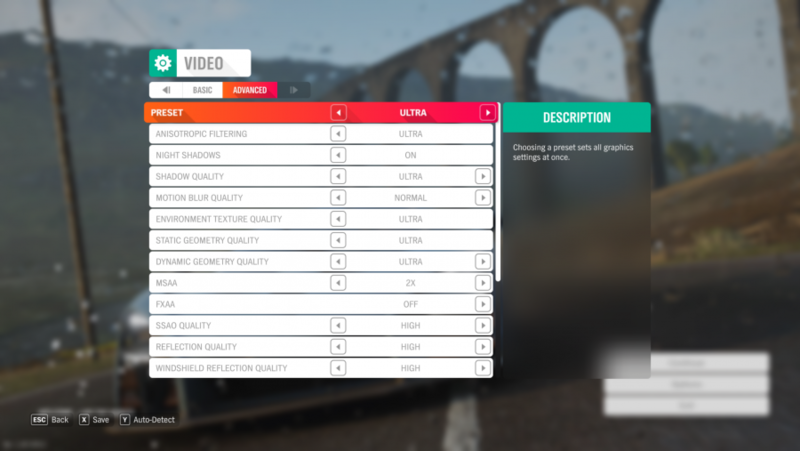 Forza Horizon 4 does have a ‘lowest’ preset, so it can be scaled back even more than the least intensive settings sampled in these screenshots. Like the McLaren Senna that acts as the star of this screenshot, Forza Horizon 4 at ultra settings is a sight to behold. Screenshots don’t do it justice, as much of the lustre comes from the dynamic reflections that dance over the cars’ polished body panels. But in this image you can see the quality of such reflections, and the shadows cast by the car’s spoiler and objects in the world. These are soft and natural and add to the overall photorealistic effect of the game. Texture quality is high on areas like the road surface, and the world is populated by a large number of spectators. Using a GTX 1060, the average frame rate on ultra is 71fps, with highs of 91fps and lows of 62fps. This is great performance, meaning every twitch of your vehicle is communicated, and there’s an authentic feeling of speed. 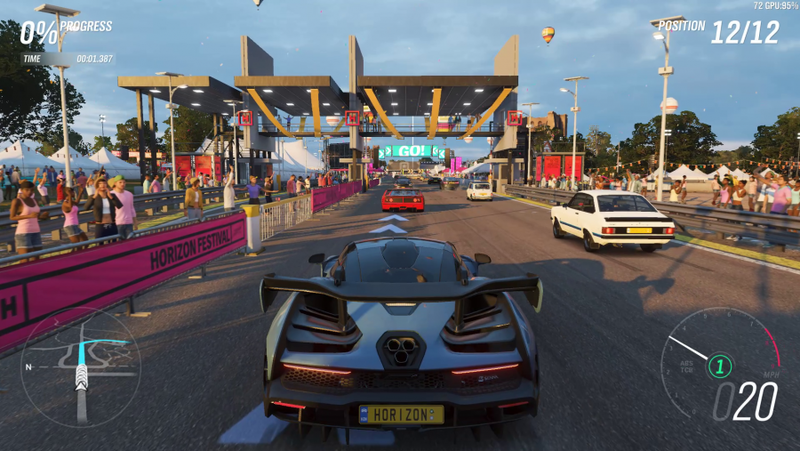 There’s little difference between Forza Horizon 4’s ultra and high presets, so much so that the world itself looks practically identical. Look closely at the car, though, and you’ll be able to see where subtle changes have been made to aid performance. The surface of the McLaren looks less glossy thanks to simpler reflections, and the shadows cast across the bodywork have sharper, less attractive edges. Shading around the air intakes have slightly jagged edges, which provides an effect that removes the polish from the car’s panels. These are small details, but contribute to the vehicle looking more like it’s rendered in a game engine, as opposed to the near-photorealism of ultra settings. With an average benchmark of 89fps, though, this change provides a significant boost to performance. As previously mentioned, Horizon 4 looks better in motion than in still images, so even with a duller paint job these cars still look fantastic at high settings. Once again the difference between presets is slight, but the car models themselves are not the key change between high and medium. Instead, it’s the world around the car that is subject to scalebacks. You can see that the number of people in the spectating crowds is reduced by approximately half, resulting in a less busy – and thus less intensive – environment. This is a sensible cutback: even though the level of detail is reduced on the cars, the reduction in set dressing allows the overall effect to be less drastic than between presets in other games. The reduction in quality and crowd sizes leads to a six frame jump, up to an average of 95fps, providing a small boost to performance should your PC be struggling with the high preset. Further NPCs have been removed from the crowd for the low preset, but the biggest changes are to texture resolution, anti-aliasing, and reflections. While there’s an element of sheen to the McLaren’s bodywork, it’s incredibly basic, and represented by shading rather than reflections. The edges around the air intakes and exhaust cluster are notably jagged due to anti-aliasing tech being turned off completely. All surfaces suffer from reduced detail because of the lower quality textures, which eliminates the crisp feel the game has when seen at its best. With an average frame rate of 111fps, though, there’s a respectable boost to performance in payment for the visual sacrifices. 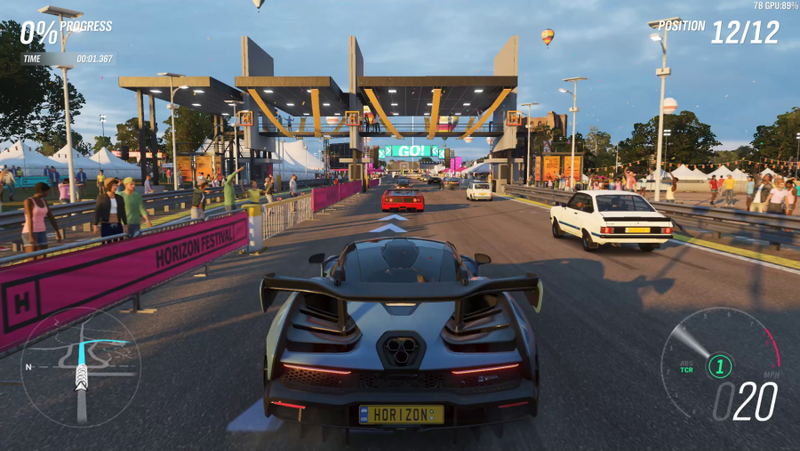 To see how Forza Horizon 4 performs on various hardware setups, we test the game on four graphics cards – two from Nvidia, and two from AMD. We’ve sampled popular cards from the current and last generation of GPUs based on the findings of the Steam Hardware Survey in order to offer the most useful information. All four cards are tested at the highest settings, with every texture option set as high as they’ll go, and every graphical effect turned on. For this test we have used the in-game benchmarking tool, which renders a full race, complete with dynamic weather effects, to generate an average frame rate count. The overall picture is great, but a small victory is claimed by AMD in this race. Both its cards outpaced their Nvidia rivals, with even the aging R9 380 hitting an average of 50fps. That’s not to say that the Nvidia cards lagged; with the GTX 970 hitting 44fps and the GTX 1060 reaching 74fps, the green team still produces a smooth experience in Forza even at the highest settings. In short: even if you’re running an older card, you’ll still be able to exceed 30fps at ultra. Hitting above 30fps is good news but it’s not the goal we all aspire to. Luckily, it’s not difficult to hit 60fps in Horizon 4, but on the older cards you’ll need to make sacrifices. You’ll want to opt for the medium preset on cards similar to the R9 380, although you can make gains by setting up a custom profile and reducing your reflections and world effects a notch or two. It’s also worth turning down windshield reflections, especially if you don’t plan to race from the in-car view. Those with cards akin to the GTX 1060 or above need not worry about tweaking graphics settings: just dial in the ultra preset and race away. Last year’s Forza 7 PC port was riddled with crash-to-desktop bugs. 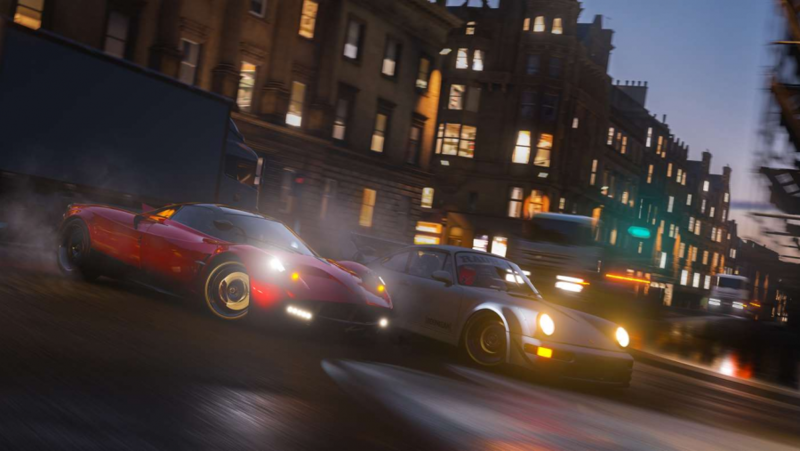 While it experienced some excellent frame rates during races, during its launch period forums filled with reports of the menus failing and dumping players back to Windows. 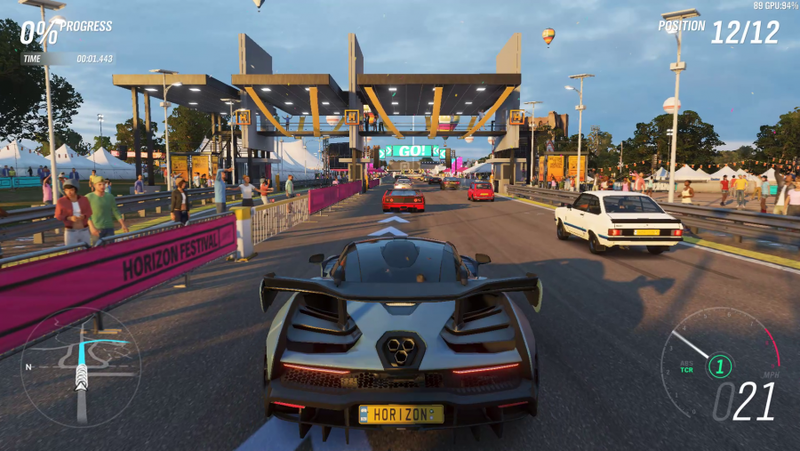 This shouldn’t be the case with Forza Horizon 4: this is the best PC version the series has produced so far. With a robust suite of options, a great benchmarking tool, and crashes limited to just the roads, Playground Games has created a wonderful racer that’s perfectly at home on PC. By limiting crashes to the roads and providing a solid suite of graphical and performance options, the Forza series finally has the oil of a PC thoroughbred flowing through its pipes.